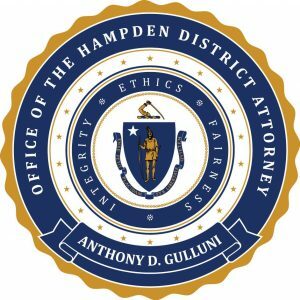 March 18, 2019 -Springfield- On Friday, March 15, 2019 the Longmeadow Police and Fire Departments, along with the Massachusetts State Police Detective Unit assigned to the Hampden District Attorney’s Office and members of the Springfield Police Department’s Major Crimes Unit responded to the area of Emerson Road for a reported body in the Connecticut River. The Longmeadow Police and Fire Departments launched a boat and conducted a search. A short time later a body was discovered and brought to shore. The remains were positively identified by the Office of the Chief Medical Examiner as Mr. Achim Bailey, 23, of Springfield. There were no signs of physical trauma present to suggest foul play. The investigation into Mr. Bailey’s death remains under investigation by the Springfield Police Department’s Major Crimes Unit along with the Hampden District Attorney’s Office and the Office of the Chief Medical Examiner. Hampden District Attorney Anthony Gulluni offers his sympathies to Mr. Bailey’s family during this difficult time.